Lantek, a world leader in the development, commercialization, and integration of management software solutions (CAD/CAM, MES, ERP, Advanced Manufacturing) and Advanced Manufacturing for the sheet metal industry, has announced its results for the first half of 2017, which show substantial growth in its client portfolio and its sales, thereby consolidating its positioning as a leader on an international level. Currently, there are already more than 19,000 companies, in more than 100 countries, on five continents, that place their trust in the technology developed by Lantek which has its headquarters in Vitoria-Gasteiz. With a client base covering the most advanced countries in the world, Lantek experienced a growth of 15% during the first half of the year compared to the same period in 2016. The increase was notable in markets such as China, the USA, Korea and Turkey. Turkey is particularly significant with values above 20%, not to mention other countries such as Spain, the United Kingdom and France, where the results have also improved compared to the first half of the previous year. "For Lantek our global presence is strategic, and the experience that we have accumulated through collaboration in very different markets and in large corporations operating around the world is very valuable. Our aim now is to consolidate our loyalty policies with a powerful marketing strategy and specific campaigns in different countries that increase our clients’ satisfaction levels," says Alberto Martínez, CEO of Lantek. Industrial machinery, shipyards, automotive industry, tooling, welding, metal fabrication, iron and steel industry, elevators, air conditioning, metallic furniture, and distribution are some of the main sectors, in the many industries where Lantek has consolidated its global presence. Lantek’s growth is mainly due to the increase in its sales in the solutions area of Industry 4.0, which has undergone an increase of 34% compared to the same six months in the previous year. In the CAD/CAM area the company has grown by 13% compared to 2016. Lantek’s objective is to work with its customers is to improve clients’ productivity, reducing costs and times with the introduction of powerful innovations. To achieve this, over the past few years, the company has committed itself to the development of solutions directed at advanced manufacturing, which connect plants and processes with the intention of facilitating the digital transformation for its clients.It is also committed to providing support for them during this process, adapting to their different stages of digital maturity helping them to become ‘Smart Factories’. This firm commitment to the technology associated with Industry 4.0 makes Lantek a pioneer in the digital transformation of companies in the sheet metal and fabrication sector. “For the future, at Lantek, our clients’ digital transformation will be our most important challenge. We are on the verge of the fourth industrial revolution, which will change production dramatically. Because we are committed to growth and to supporting our clients’ digitalization process, we are going to expand our R&D budget by more than 1.6 million euros in 2017, and we will also grow our project implementation and development teams.” announces the CEO of Lantek, Alberto Martinez. The good results achieved during this first half of the year consolidate the position of the multinational company enabling it to meet the growth objective outlined in its strategic plan. A contribution to this was the opening last March of the new Lantek office in the United Arab Emirates, which has already started to show positive results. The growth achieved will be further reinforced by the opening a new office in Bilbao in September. Furthermore, the company forecasts that in 2017 40 people will join the company on a global level, taking the staff numbers to more than 200 employees. Lantek is a multinational company which is leading the digital transformation of companies in the industrial sector of sheet metal and metal. It offers its own software solutions in business manufacturing intelligence which enable connecting the plants thereby converting them into smart factories. It rounds off its range with the development of CAD/CAM/MES/ERP solutions for companies that manufacture metal parts from sheet metal, tubes and profiles, with any cutting technology: laser, plasma, oxycut, waterjet, shearing. and punching. 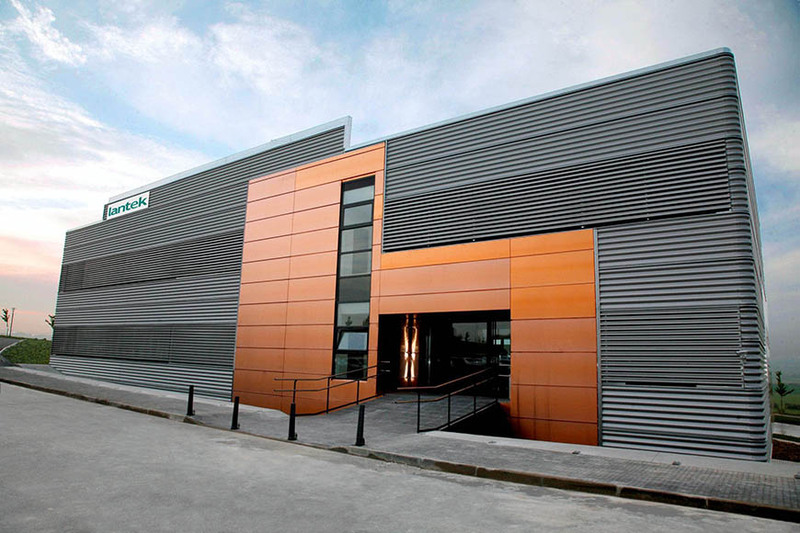 Founded in 1986 in the Basque Country and with its headquarters in Vitoria-Gasteiz (Álava), Lantek enables the integration of cutting and punching technologies in the plant, using the most demanding advanced manufacturing management software. The company is currently the outstanding leader in its sector thanks to its capacity for innovation and commitment to internationalization. With more than 19,000 clients in over 100 countries and its own offices in 15 countries, it has an extensive network of distributors with a worldwide presence. In 2016, its international business contributed to 85% of its revenue.